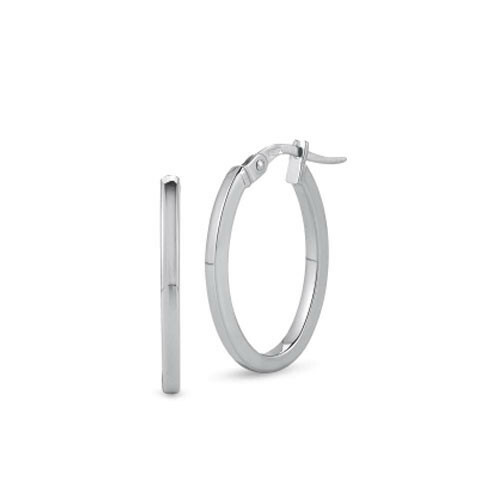 Simply smooth, these Roberto Coin oval hoops are a lovely addition to any outfit. Each earring is fabricated in 18kt white gold into an oval shape. These Roberto Coin earrings are great for every day wear.